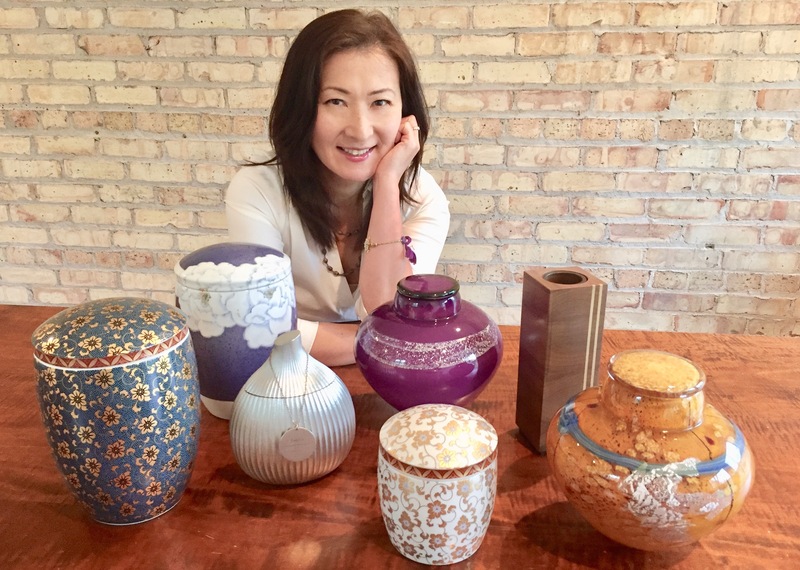 Michi Kustra displays a selection of the curated urns available through her Chicago company Urns in Style. Urns In Style’s distinctive collection features a variety of shapes, colors, and finishes, including glass, ceramic, wood, and metal with themes suitable for a man, a woman, or a pet. In addition to in-stock items, what’s becoming very popular, according to Kustra, is the “Design Your Own” custom urn service that allows customers to design the urn from scratch. The customization process often begins with a sketch that can be adjusted and refined with input from the client until the client is 100 percent happy with the design. Production can take anywhere from five days to four weeks, depending on the scope of the design. “As cremation has become a more mainstream choice in the United States, we are witnessing rapidly growing demand from consumers who seek cremation urns that are created uniquely for their loved one, not for anybody else,” Kustra adds.